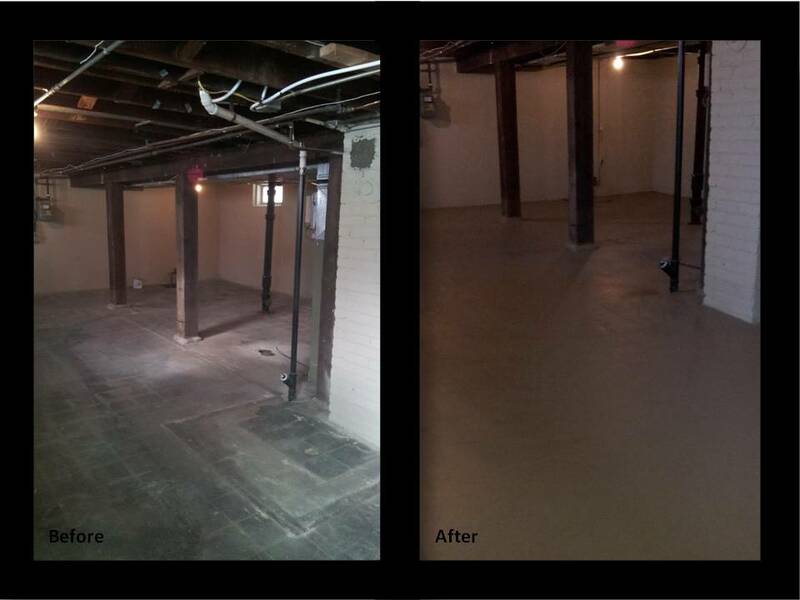 Painting the floor in the basement makes a big change. This floor is painted Dapper Tan by Sherwin-Williams. The walls are Universal Khaki. Is This the Same Room? This is a bathroom in the house I am renovating. I added bead board and a chair rail. A pedestal sink gives the illusion of more space. The trim is in Dover White accented with Urban Bronze (dark gray). I also painted the outside of the tub with this color. The top half of the walls are in Escape Gray. The bottom half is in Ethereal Mood. These colors were selected from the Neutral Nuance collection HGTV Home by Sherwin-Williams. Painting a wall 20 feet high! Thanks Royce for the picture!